I love libraries. If you’re a writer, no doubt you do, too. 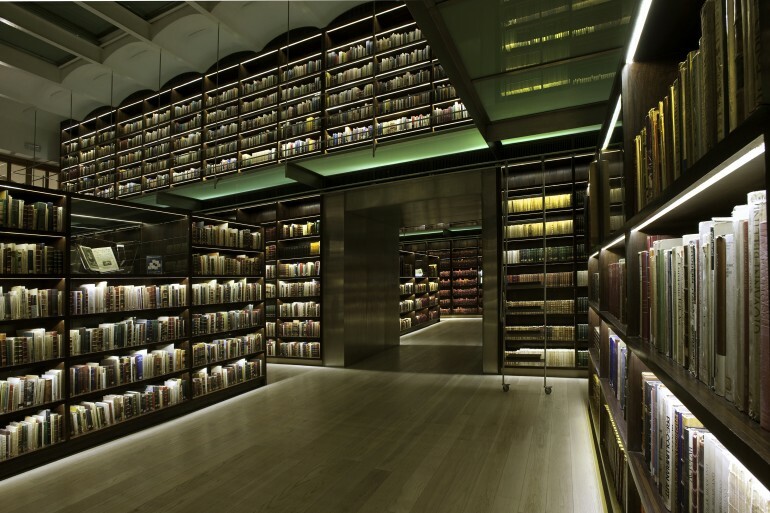 So it’s wonderful to see that these buildings still exist — especially in the age of digital books — and winning awards for their architectural design. The Castro Leal Library in Mexico City is one such place. It recently won first prize in the institutional category in the 2012 Mexican Association of Interior Designers’ AMDI Awards. Simple strips of LED lights mounted on each bookshelf create a ethereal glow. What a beautiful place. For more images see the gallery here. GORGEOUS~~! Makes our library look like a dungeon.